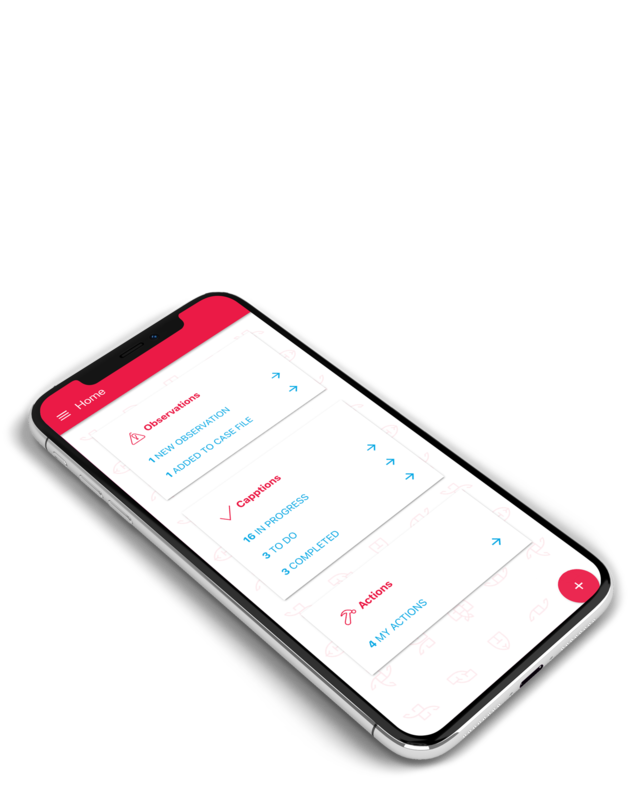 Capptions is loaded with features and functionality that help you transform the way you collect, share and analyse your data. Go beyond digitising forms, information from completed responses can trigger actions and workflows. Check out the full feature list below. See how Capptions can be tailored to your business needs. One of our specialists will talk you through all the features and possibilities. We're a true partner. That means we’ll take the time to understand your current process and configure a solution that will improve quality, performance, and the bottom line. The powerful form builder is located in the dashboard, which is accessed via the web. 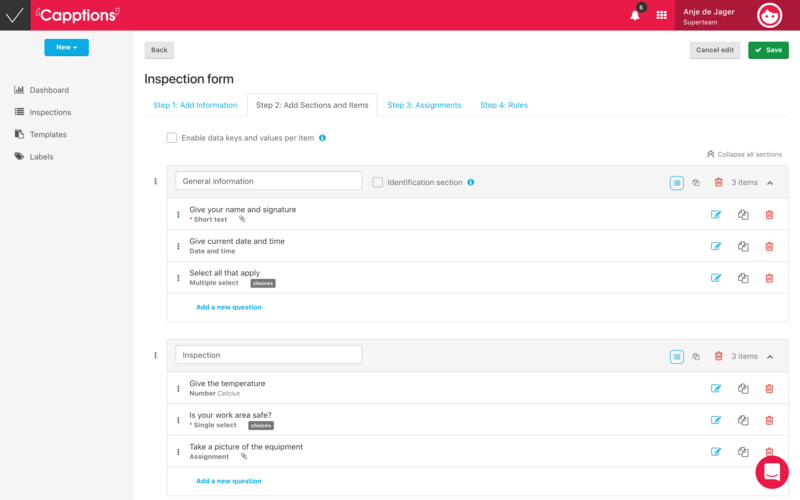 It allows you to easily digitise any paper form you need, with questions and rules to make it smart. From simple text boxes to intricate rules. Get photo, GPS and more. After you’ve set up the form the way you like, instantly share it with your colleagues and start capturing the data you need. 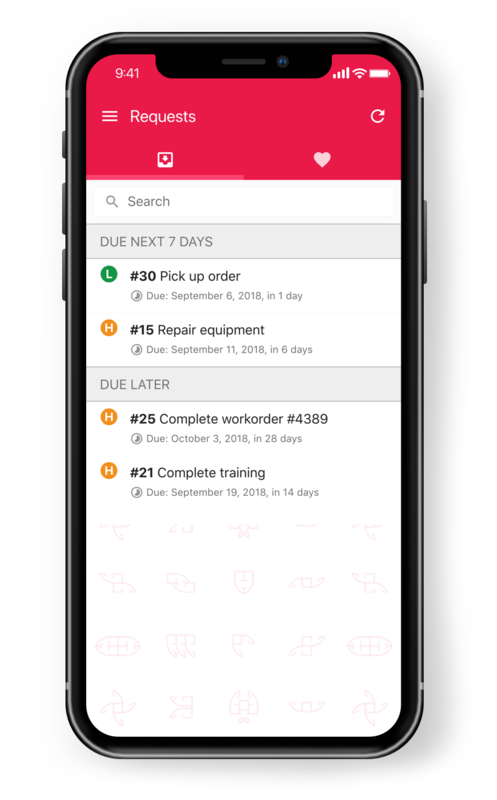 Fill out any form from your mobile device, from an inspection form to an audit. Our user interface makes it easy for anyone to collect and share data. Get ride of tiresome paperwork, give your workforce a voice and allow them to work smarter and more efficiently. Complete a form and automatically receive an email. Simply view, download and share a PDF report of the form the has jut been filled in. All the data you capture is instantly accessible and notification can be set up whichever way you prefer. Use observations for different purposes. One might want to be able to report an unsafe situation or record something that needs to be fixed. Explore the endless possibilities. Manage observations via self defined casefiles. Create Actions from inspections and/or observations. For example: You’re completing a workplace inspection and notice faulty equipment. What do you do? Easy, you create an Observation: snap a quick picture and attach the level of priority. The admin of your team will receive a notification and will be able to create an Action for one of your colleagues to go fix the equipment. This results in a list with personal to-do’s, including deadlines and priorities. Once the Action is done he/she can add a picture (proof) and the file will be closed. Easy, quick and powerful communication in a matter of minutes! Capptions comes with a dashboard for administrators. 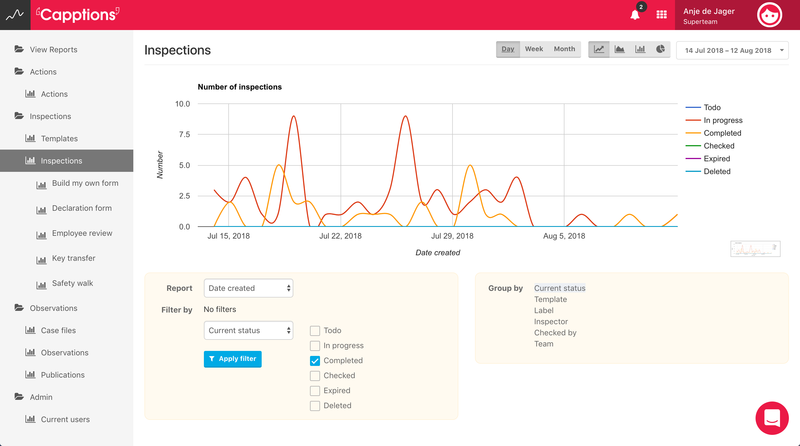 The dashboard gives an overview of all inspections, actions and observations that have been created. And what would a data capturing tool be without reporting? Easily analyse the data you and your team have captured. You can create anything from bar graphs to pie charts. This powerful analysis can give you insights you’ve never had and can help you to better manage your team. All the data is real-time, so no more waiting for reports to come in. Capptions is built on a secure database. We use SSL256 to encrypt your data, in the air as well as in the database. You own all the data, always. Capptions is committed to being 100% GDPR compliant, which means we will never share your data with 3rd parties. Furthermore, our platform integrates seamlessly with your current IT systems. Say goodbye to spreadsheets and endless emails. Capptions provides you with a singular management system. Check out the Captions Support Center for tutorials about the Micro-App Builder. Well give you all the tips & tricks. In addition to widgets and hooks, you can also find templates in the Capptions Template Store. 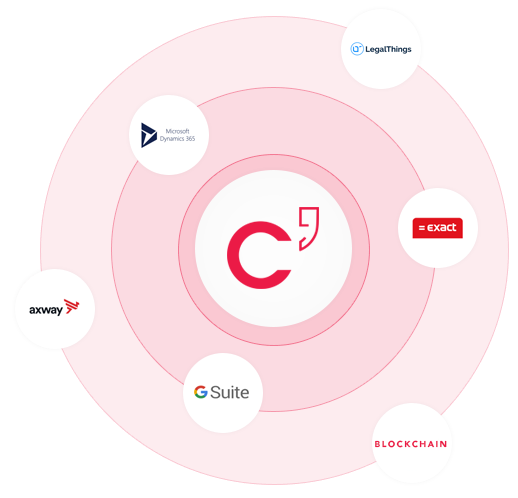 Only applicable to business and enterprise packages.Integrations You can integrate with Capptions with any of the depicted tools. Don’t see the integration you’re looking for? Let us know, and we might be able to make it work. 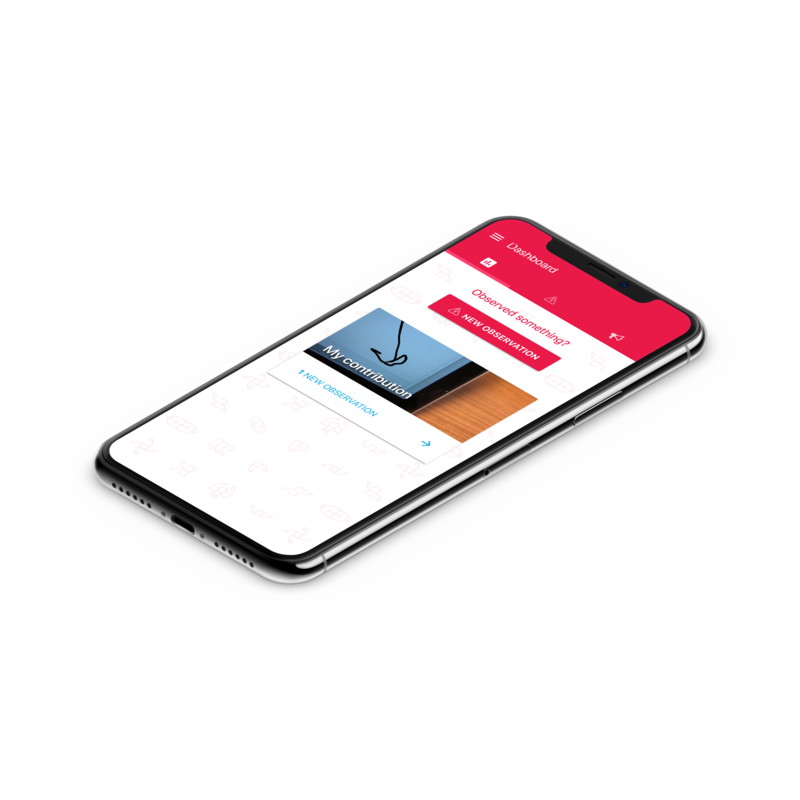 Other premium integrations include: your own support with an Intercom account and Maps integration with Capps, so that your mobile workers know what to do, where. Hit the link below to find out more about our premium features.